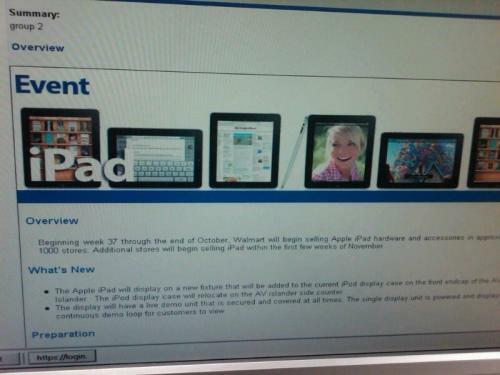 Reports are spreading fast that Apple’s iPad will be coming to the shelves of Wal Mart as early as next week. 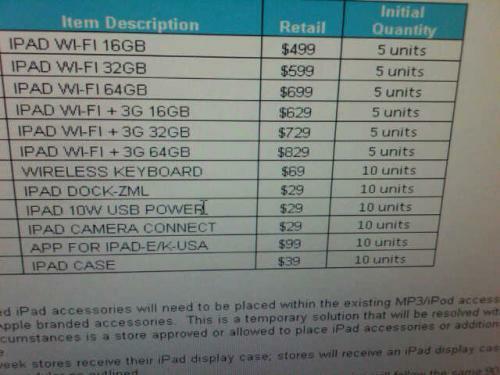 Leaked screen shots of Wal Mart’s inventory show that Wal Mart will be selling all six models of the iPad. 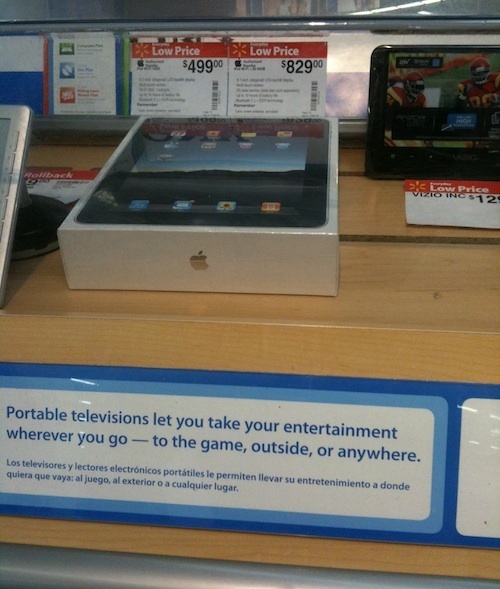 This will now make the iPad available at Best Buy, Target, Amazon, the Apple store, and Wal Mart. It is now obvious that Apple’s business model with the iPad includes leveraging the heavy hitting retailers for exposure. Retailers are more than happy to oblige since they know the iPads will generate massive foot traffic, especially during the upcoming holiday season.